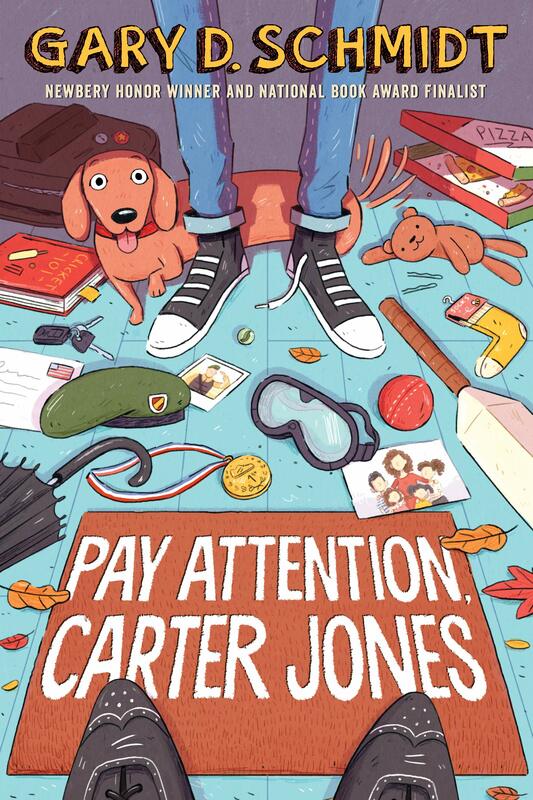 Summary: When the doorbell rings on the first day of school, the last person Carter Jones expects to see is a butler wearing a suit and a bowler hat. But Mr. Bowles-Fitzpatrick, a “gentleman’s gentleman” has come to look after the Jones family. And it turns out, they need some looking after. Carter, a sixth grader, is the oldest of four, and as the story unfolds, the reader learns that number used to be five. Carter’s younger brother died not too long ago; their father was deployed overseas and didn’t make it home before Currier died. Carter can’t forgive his father for that, or for another transgression that the reader slowly learns about. It’s pretty heavy stuff, but Mr. B-F helps Carter deal with it through the game of cricket. He takes Carter and his friend Billy to the middle school field one morning after dressing them in cricket whites, and practically hypnotizes the eighth grade cross-country team into joining them. Before long, cricket fever has swept the school. A final showdown between Team Britannia and Team India provides a satisfying conclusion to the book and a chance for Carter to see the important role he has to play in his family. 224 pages; grades 4-7. Pros: In the first book of the year that may get some Newbery consideration, Gary Schmidt adroitly weaves a complicated, funny story that’s told by a reluctant narrator who only slowly reveals his past. There are several layers to the story, and readers may need some help to appreciate them all, but it would make a perfect sixth-grade book club selection or read aloud. Cons: There was an awful lot about cricket in the story.